Several residents from Warrick County as passengers in a van on I-65 in Jackson County were hurt Saturday night when a large tyre came across the median and struck their vehicle as they returned from a shopping trip. Indiana State Police say it happened around 18:30. 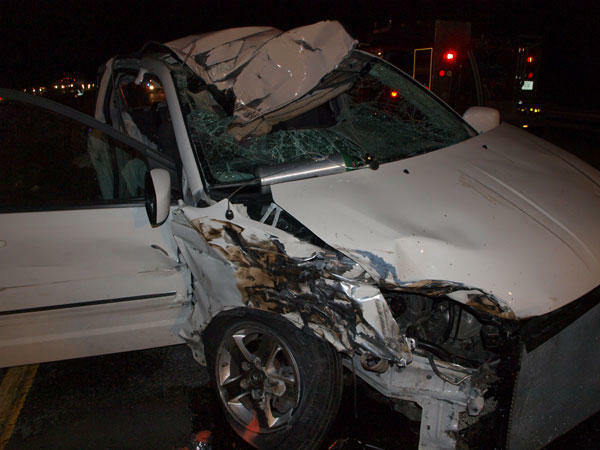 A 2008 Dodge Caravan driven by 61-year-old Becky Freimiller was southbound on I-65 near Seymour when the tyre flew into the windshield, causing her to lose complete control of the van. A 2011 Freightliner semi tractor-trailer rig driven by 36-year-old Anthony Green of Woodruff, South Carolina then sideswiped the van. Freimiller suffered from severe cuts and trauma to the face and a possible concussion. 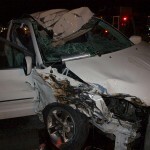 Six passengers in the van were hurt, some of them seriously. In this particular situation, a good van insurance policy is vital for the owner. Frances Wilkey, 64, was flown to University Hospital in Louisville. She was trapped in the van for nearly 30 minutes before emergency crews could extricate her, later after on Tuesday morning she was listed in satisfactory condition. Jessica Evans, 19, suffered serious head trauma, Laura Wilkey, 43, had possible broken bones. Donna Evans, 53, Tina Whitake, 50, and 14-year-old Miranda Garrett suffered cuts and bruises. However, Anthony Green was fortunately not hurt during this accident.